Well, this certainly has escalated quickly, hasn't it? Petr Cech is not happy. Not happy at all. The Arsenal goalkeeper shipped two goals in their Premier League opener against Manchester City on Sunday afternoon, Unai Emery's new side failing to find a goal of their own. Cech was a surprise starter in the game following the summer arrival of Bernd Leno, who arrived from Bayer Leverkusen. With little over 20 minutes played and having already conceded to Raheem Sterling, the former Chelsea goalkeeper came dangerously close to misdirecting a first-time pass to one of his teammates inside his own post - much to the amusement of many commenting on the game on Twitter. 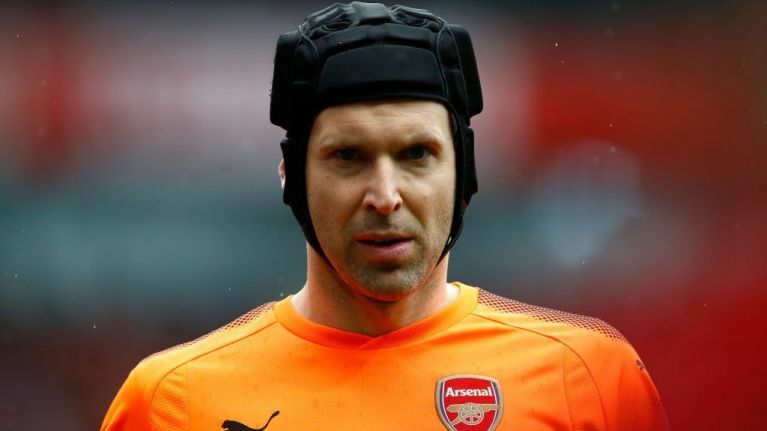 Amongst those to comment on the incident was Bayer Leverkusen's English language Twitter account, who compared Cech's apparent difficulty with playing out from the back to that of Leno, the man many had assumed would automatically be Arsenal's first choice 'keeper. Clearly, it was a bit of lighthearted fun. Certainly not something to get upset about and definitely not something for Cech to respond to... yet on Monday evening, that's exactly what he did. 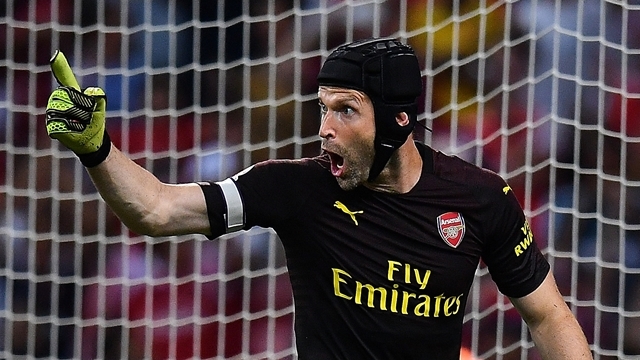 A tweet from Cech said it was 'sad' that Leverkusen's tweet showed the German club didn't share the same values of 'fair competition, professionalism and sportsmanship' that are expected at Arsenal. Having seen Cech's response, Leverkusen were quick to send a response in order to smooth things over, explaining that he'd taken their joke more personally than it was intended. No hard feelings then. At least on Bayer's part.